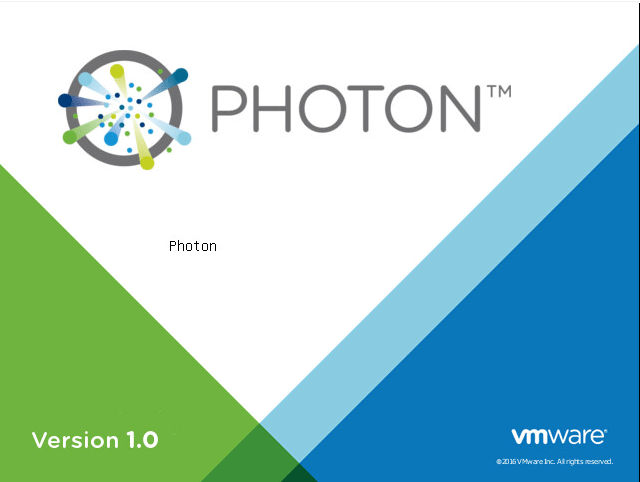 You are at:Home»Virtualization»VMware»What is VMware Photon OS? What is VMware Photon OS? Today most vendors are putting a lot of emphasis on “cloud native” applications. Cloud native applications are geared toward containers and containerized applications. This makes possible running microservices inside containers with the ability to function in cloud computing environments and even deployed across multiple different clouds. Microservices are discreet software application services that each run inside of its own container. If you have installed the latest version of the VMware vSphere appliance (VCSA) or other products such as the vSphere Integrated Containers OVA appliance, you will notice as the VMs boot, they are running Photon OS. VMware is using the Photon OS at the core of many of its new and updated products and appliances. What is VMware Photon OS? How does it tie into the new world of cloud native and containerized applications? Photon OS is a very lightweight Linux container host that is specifically designed for cloud native applications. The platform has been optimized for the vSphere environment allowing customers to look beyond their current platforms and start thinking about using distributed applications which utilize containers and containerized applications. VMware has also made the decision and move to open source the Photon OS project to help encourage development, testing, and other enhancements from their customers and the community. The development of Photon OS is allowing VMware to support and continue to innovate in the traditional datacenter as well as build and extend the capabilities of vSphere to move beyond the traditional enterprise datacenter into containerized workloads using container technologies. This allows organizations to utilize a single infrastructure to run both the traditional and containerized workloads in the datacenter using the same tooling and technologies they have grown accustomed to with VMware vSphere. This means that the other technologies found in VMware’s portfolio are interoperable with the cloud native Photon OS based technologies including VMware NSX, vSAN and others. When you look at the new VMware vSphere Integrated Containers platform, which is based on Photon OS, you see the strong interoperability and integration at work and the seamless way that VMware is delivering containerized workloads using existing vSphere infrastructure. Powerful upgrade features – Even though it is a lightweight platform, it includes package management, yum-compatible tdnf package manager that allows yum package management capabilities. When paired with Photon OS, it helps to assure only authorized objects can run in the infrastructure. VMware is certainly shown it is serious not only about virtual machines but also new technologies moving forward in the world of cloud native applications such as containers. Hopefully this brief overview of what is VMware Photon OS will help any who have wondered about this new platform if they have seen their new VCSA 6.5 appliance booting Photon OS. It will be interesting to see where the future leads with this project and others like Project Lightwave.